President Muhammadu Buhari has on behalf of the Federal Executive Council (FEC), and Nigerians in general, congratulated First Bank Nigeria Limited on its 125th anniversary, which historically and remarkably marked the commencement of banking in the country in 1894. According to a statement made available to newsmen yesterday by his spokesman, Femi Asesina, the President joined the financial services industry, particularly the banking sector, in celebrating the purposefulness, prudence and propriety that has become the hallmark of the bank for more than a century and quarter, while congratulating the Board, management and staff for upholding the vision of the founder, Alfred Lewis Jones. 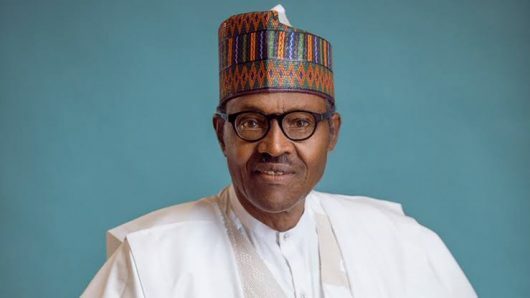 The President saluted the vision and strength of character of the management in providing a voice for the Nigerian economy by rendering competitive financial services that have culminated in spread of branches across the country, Africa and Europe. As the oldest bank in Nigeria, the President believed that First Bank Nigeria Limited has lived up to the expectation of customers over the years, both private and public, necessitating its survival and continuous service as a formidable training ground for many Nigerian bankers and chief executives, who have also established banks and served the country as Governors of Central Bank of Nigeria. While celebrating the milestone and great achievements of First Bank Nigeria Limited, Buhari commended banks in the country for generally supporting government policies in buoying the economy, especially with the renewed focus on infrastructural development and providing financial lifelines for businesses, urging them to always explore partnerships that will benefit the country and promote trust.